The vitality of the body depends on a continuous supply of oxygen and nutrients delivered by the blood via the circulatory system. As such, the structural integrity and function of the circulatory system is the keystone of health. Diseases that impede blood flow through the circulation can cause serious, potentially life-threatening effects throughout the body. Atherosclerosis is the leading cause of death and illness in the United States, reports “The Merck Manual for Healthcare Professionals.” This complex disorder of the medium and large arteries involves irritation of the blood vessel lining, which leads to the deposit of plaques, or atheromas. 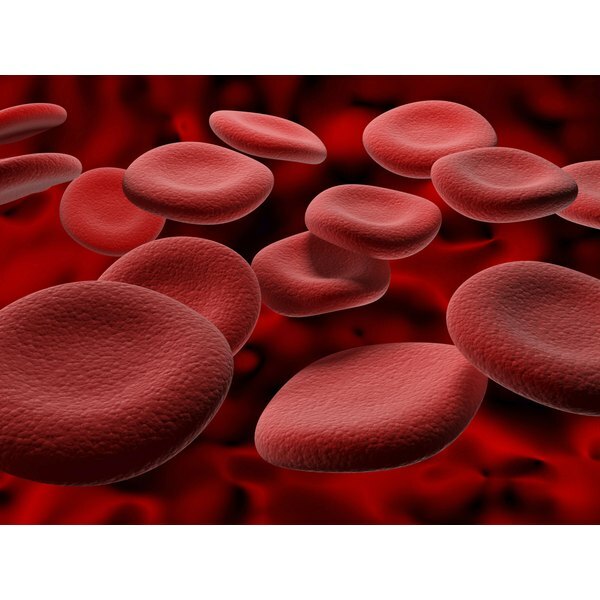 Atherosclerotic plaques contain cholesterol and other fats, connective tissue, inflammatory cells, calcium and platelets--the sticky blood elements that help form blood clots. Atheromas grow over time, progressively narrowing the open area within the arteries. The areas beyond a plaque experience decreased blood flow, which can cause tissue damage. Unstable atheromas can rupture, leading to the formation of a blood clot within the artery. Heart attacks and strokes are commonly caused by atheroma rupture and clot formation that partially or completely blocks blood flow. The National Heart Lung and Blood Institute notes that risk factors for atherosclerosis include high blood pressure, diabetes mellitus, elevated blood cholesterol and smoking. Peripheral arterial disease is a condition wherein atheromas significantly reduce blood flow to the extremities, leading to oxygen deprivation of the tissues. “The Merck Manual for Healthcare Professionals” points out that approximately 12 percent of adults in the United States have peripheral arterial disease, with the legs most commonly affected. Intermittent claudication--achy muscular pain provoked by leg muscle use--is the hallmark symptom of peripheral arterial disease. Early in the course of the condition, prolonged rest relieves claudication pain. As atheromas grow and blood flow to the legs diminishes, pain may occur at rest. Chronically decreased blood flow causes skin thinning and a bluish discoloration. The American Heart Association cautions that people with peripheral arterial disease are at increased risk for the development of nonhealing wounds of the lower legs and feet and gangrene. Vasculitis refers to a group of disorders characterized by inflammation of the blood vessels. The American College of Rheumatology explains that many forms of vasculitis can occur, affecting blood vessels of differing sizes in varying body locations. Vasculitis disorders include giant cell arteritis, polyarteritis nodosa, Wegener’s granulomatosis, Henoch-Schönlein purpura and relapsing polychondritis. The inflammatory process typically leads to swelling of the blood vessel wall and reduced blood flow, which may lead to tissue damage. In some instances, inflammation of the vessel wall causes structural weakness. The blood vessel may develop a bulged area with a thinned wall, or an aneurysm, which can rupture. Anti-inflammatory medications are the cornerstone of treatment for vasculitis.